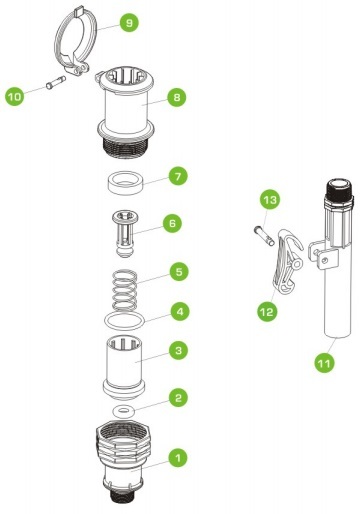 1 Thread 3/4" / 1"
This valve provides a ground-level, quick and easy solution for watering and irrigation systems. 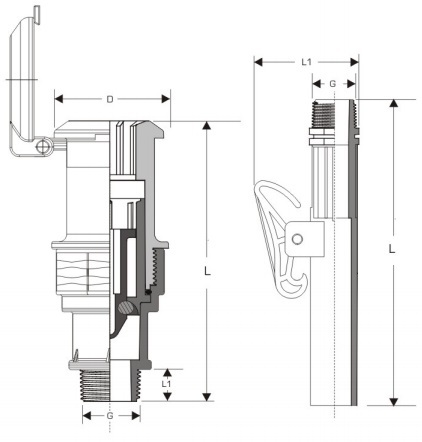 The single-action snap-in key opens the valve (and provides a 3/4" threaded connection) allowing water to flow through to the sprinkler or hose pipe. PP Quick Coupling Valve 3/4"
PP Quick Coupling Valve 1"
PP Key for Quick Coupling Valve 3/4"